Colin Mochrie has had a career in improvisational comedy that has spanned 40 years. Whether live and on-stage or on television, the men and women who participate in “Whose Line Is It Anyway?” are tops when it comes to the art of comic improvisation. 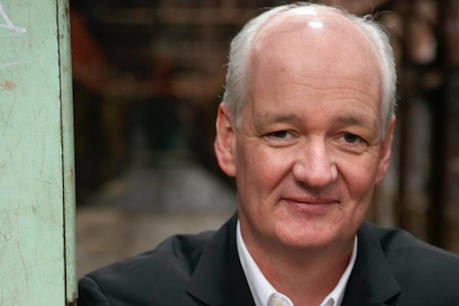 First executed on Channel 4 in the United Kingdom in 1989, with a U.S. edition hosted by Drew Carrey for ABC (1998–2007), and currently at The CW with Aisha Tyler at the helm, all three versions of “Whose Line Is It Anyway?” have one thing in common: Colin Mochrie, the only performer to have appeared in every episode of the U.S. version of the show. Mochrie mentions that the difference between U.K. and U.S. improvisational comics was the famed fourth wall. “Brits break through that wall all the time, and will do anything for a laugh,” Mochrie said. Audience members making live suggestions to the improv teams are also radically different, in Mochrie’s eyes. Americans tend to be more pop-culture oriented, while Brits favor deep history. “The abdication of Charles the II was a big topic in England,” Mochrie said with a laugh. You have to be confident in your vision (“even when the scene makes no sense”) to have such a potent level of improvisation ring true, he says. There is more leeway as each audience – be it “Whose Line Is It Anyway?” or “Scared Scriptless” – are the ones making each scene’s suggestions. “But if the crowd smells desperation or you lack confidence, the crowd will sense that immediately and pounce on you,” said Mochrie. Starting in traditional theater, where hard, mindful listening is key, also helped Mochrie through all levels of improvisation. But if the crowd smells desperation or you lack confidence, the crowd will sense that immediately and pounce on you." If you go to “Scared Scriptless” expecting it's comedians to hit upon current politics as stand-up comedians do, don’t bother. “We really try to steer away from politics,” claimed Mochrie. Colin Mochrie and Brad Sherwood will be at Parx Casino's Xcite Center Friday, May 4 for their "Scared Scriptless" tour. Show time is 8 p.m. Click here for ticket information.